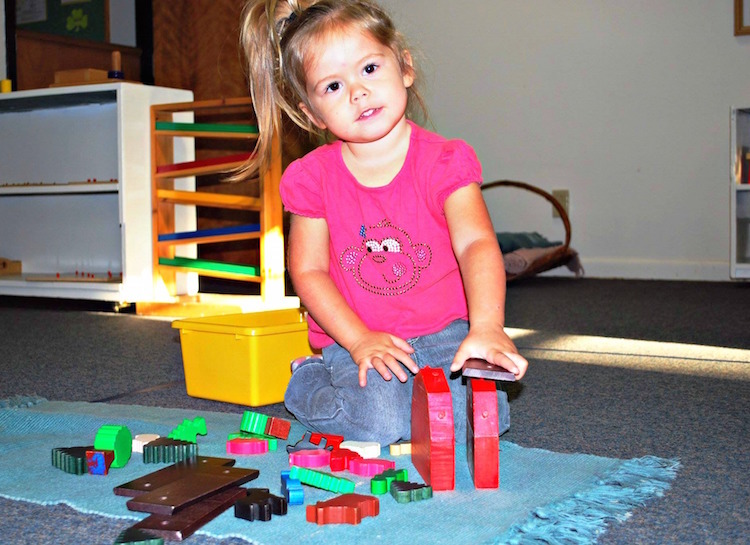 The Montessori classrooms provide a prepared environment in where children can be driven naturally to work and learn. The children’s inherent love of learning is encouraged by giving them the opportunity to be spontaneous, and engage in meaningful activities under the guidance of a trained instructor. Through their work children develop concentration, motivation, persistence, and discipline. Within this framework of order they progress at their pace and rhythm according to their individual capabilities. Acquiring the love of learning and learn how to learn is our goal. With this in mind we have organized our curriculum, which is ahead of the traditional curriculum. We have based our curriculum on the Maria Montessori teachings. The curriculum presents lessons simple and concretely in the early years, and are introduced again in a more abstract and complex presentation during the subsequent years. Dr. Maria Montessori, the creator of what is called “The Montessori Method of Education,” based this new education on her scientific observations of young children’s behavior. As the first woman physician to graduate from the University of Rome, Montessori became involved with education as a doctor treating children labeled as retarded. Then in 1907 she was invited to open a child care center for the children of desperately poor families in the San Lorenzo slums of Rome. She called it a “A Children’s House,” and based the program on her observations that young children learn best in a homelike setting, filled with developmentally appropriate materials that provide experiences contributing to the growth of self-motivated, independent learners. She carried her message throughout the world, including the United States as early as 1912. After an enthusiastic first response, interest in the U.S. waned until a reintroduction of the method in the mid-1950’s, followed by the organization of the American Montessori Society in 1960. Each Montessori class, from toddlers through high school, operates on the principle of freedom within limits. Every program has its set of ground rules which differs from age to age, but is always based on core Montessori beliefs-respect for each other and for the environment. The three-year-age span in each class provides a family-like grouping where learning can take place naturally. More experienced children share what they have learned while reinforcing their own learning. 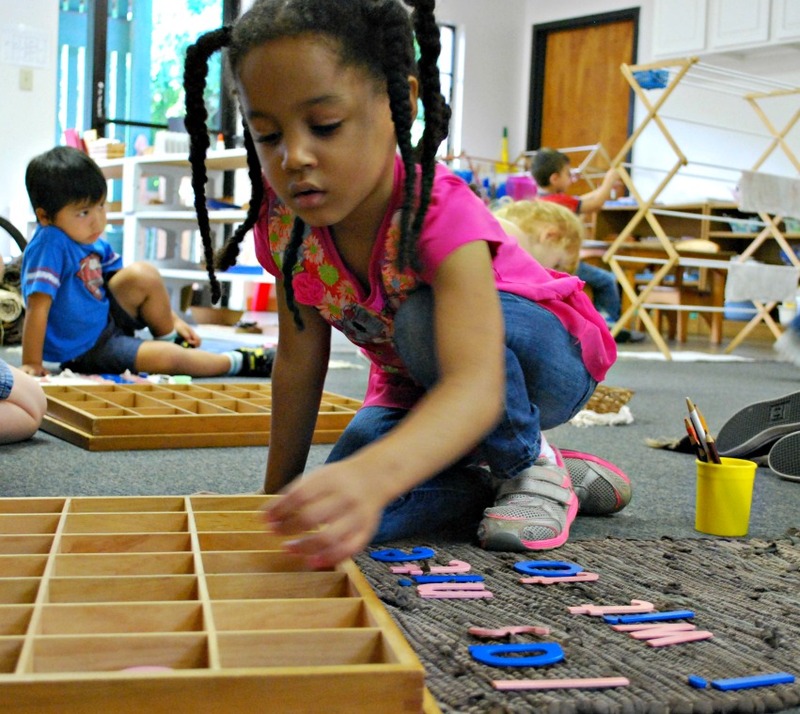 Because this peer group learning is intrinsic to Montessori, there is often more conversation-language experiences-in the Montessori classroom than in conventional early education settings. Creativity flourishes in an atmosphere of acceptance and trust. Montessorians recognize that each child, from toddler to teenager, learns and expresses himself in a very individual way. Music, art, storytelling, movement and drama are part of every American Montessori program. 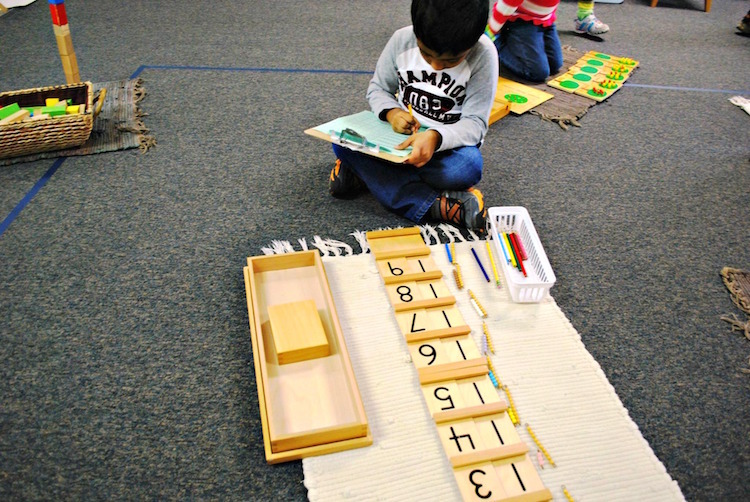 But there are other things particular to the Montessori environment which encourage creative development: many materials which stimulate interest and involvement; an emphasis on the sensory aspect of experience; and the opportunity for both verbal and nonverbal modes of learning. Teachers educated in the Montessori philosophy and methodology for the age level they are teaching, who have the ability and dedication to put the key concepts into practice. A partnership established with the family. The family is considered an integral part of the individual’s total development. 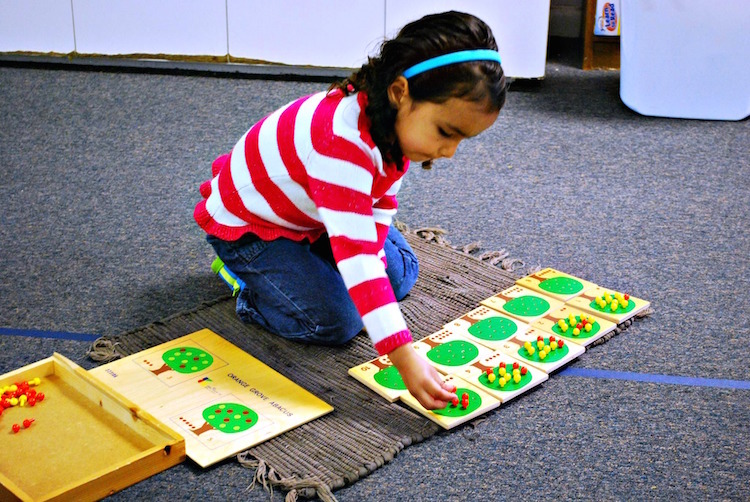 A diverse set of Montessori materials, activities and experiences which are designed to foster physical, intellectual, creative and social independence. A schedule which allows large blocks of time to problem solve, to see connections in knowledge and to create new ideas.